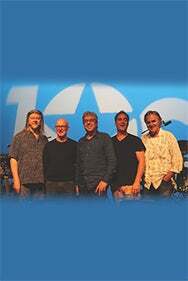 We do not curently have theatre tickets available for 10CC . This could be because we have simply sold out or it could be that this show is no longer running. The information on this page remains purely for historical and informational purposes. Influential art-pop heroes 10cc return to the Royal Albert Hall in 2019 to wrap up their UK Tour. Their string of hits, which include I’m Not In Love, Dreadlock Holiday and Rubber Bullets, have singled 10cc out as one of the most inventive and influential bands in popular music.